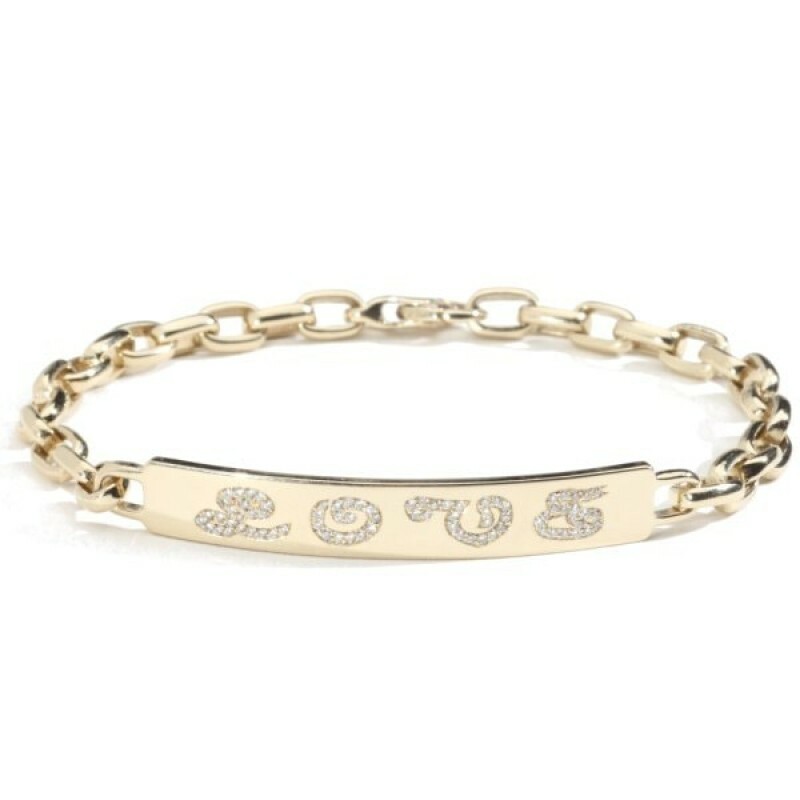 Our LOVE ID Bracelet is set with meticulously handset diamond lettering. Our ID bracelets are made with individually hand cast links and curved ID bar. 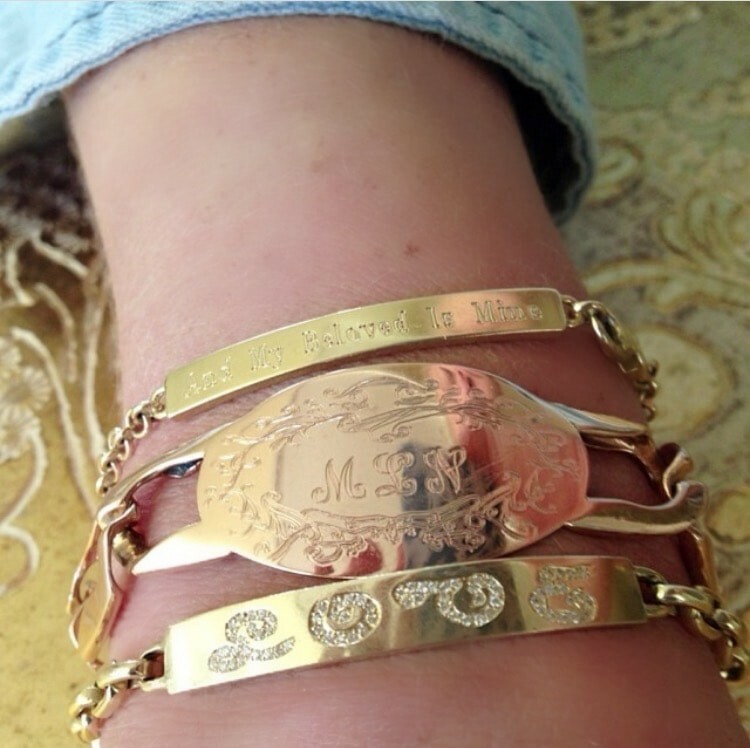 Also available as a classic ID bracelet without diamond LOVE lettering. We are also happy to inscribe custom block lettering or engrave without diamonds. Please email us at sales@garlandcollection.com for custom pricing. Standard 6 1/2" (please contact us for custom sizing). Garland Collection fine jewelry is made to order and cannot be returned or exchanged. Please allow 6-8 weeks for shipping.